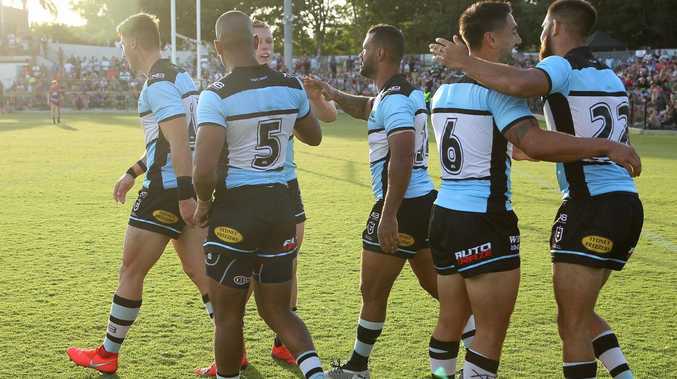 Cronulla have announced a $40 million deal with Capital Bluestone for their leagues club they claim has secured their long-term financial future in the NRL. Sharks chair Dino Mezzatesta told members the arrangement involved selling off their remaining interest in the Woolooware Bay Town Centre. The pay-off ends an eight-year partnership between the leagues club and the development company that began in 2011. A renovated leagues club, together with a new head office for the football department, is expected to be complete by 2021. "Under the leadership of a robust management and board, the agreement also enables us to focus on our core operation, which is to create a club that makes you, your family and friends feel welcome, while providing a range of services and support to our local community, including the Sharks Football Club," Mezzatesta wrote on Wednesday. The news comes in the same week NRL boss Todd Greenberg put expansion firmly back on the agenda, possibly through the relocation of Sydney teams. The Sharks have often been linked to a move interstate as the code attempts to broaden its horizon ahead of the next broadcast cycle in 2022. Mezzatesta declared the club's involvement in the joint venture as a success. Not only does it set the football club up for the future, but the deal also covers a debt that includes the recent $750,000 fine for salary cap breaches. "Now, by selling our remaining interest to focus on the future, we've been able to strengthen our immediate financial position, secure our future through a revitalised club premises to provide a strong recurring income stream and, importantly, realise investment returns on our capital," Mezzatesta said.